Create square holes, slots, and pockets with a clean surface finish. Choose between one-piece mortise bits or two-piece chisel-and-bit sets. These bits are for use in a mortising machine or a drill press with a mortising attachment. 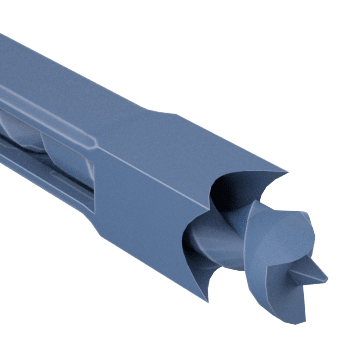 Consisting of an auger bit that sits inside a hollow square chisel, these two-piece cutting tools create square holes and slots in a workpiece. 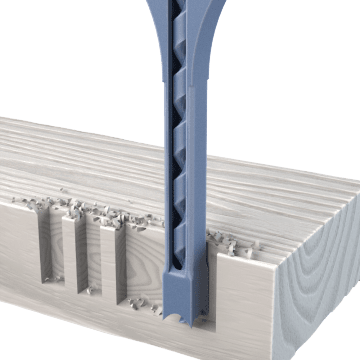 The bit has wide flutes that evacuate chips efficiently, and the chisel has four cutting edges that ensure the edges of the holes are straight and smooth.